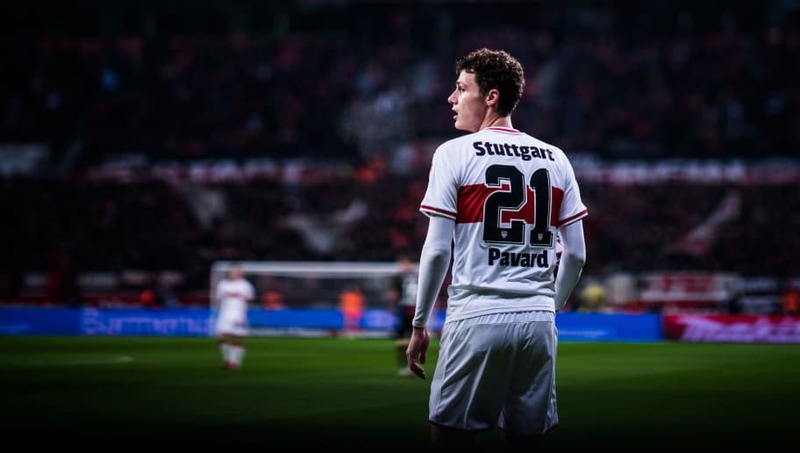 It's been a long time coming, but Benjamin Pavard's imminent move to Bayern Munich has largely been in the pipeline ever since he first stepped out onto the pitch with VfB Stuttgart in the second tier of German football. Just two minutes into Pavard's 2. Bundesliga debut, the Frenchman threaded a stunning 50-yard pass straight into the path of fellow newcomer Carlos Mané to take the lead against Greuther Fürth - an assist which is still being raved about among football fans across the world. It might be a bit too cliché to suggest that Bayern Munich caught wind of Pavard's potential based off that pass alone, but it certainly showcased how the then 20-year-old could fulfil a role which has become synonymous with Bavarian legend, Franz Beckenbauer. Der Kaiser is often credited with being the archetype of a position which has all but died out in modern football, the Libero; a fluid centre-back who's not tasked with man-marking like other defenders, hence its other name, the sweeper. Although Steaua Bucureşti legend Alexandru Apolzan and Italian Ivano Blason are credited with creating this role during the 1950s, it wasn't until Beckenbauer was moved into Bayern Munich's back four by manager Zlatko Čajkovski over a decade later that the Libero would become largely what it's known as to this day. In soon-to-be new signing Pavard, Bayern Munich have snapped up one of the most exciting ball playing centre-backs in Europe who - on the offensive side of things at least - has everything that's needed to rebirth the Libero. Defensively, Pavard's reading of the game and outstanding ability to intercept passes also has shades of Beckenbauer, although lapses in concentration, evidenced against Borussia Dortmund earlier this season, can sometimes hold the defender back. One thing that old school Bayern Munich fans will tell you is that if they're ever going to have a Libero in their back four, then they'll also need a Vorstopper. In Beckenbauer's heyday, Bayern Munich relied on Georg Schwarzenbeck - a full-back by trade under the Croatian, Čajkovski - to fulfil that role following the appointment of Branko Zebec in 1968. German journalist and author Uli Hesse, in his book 'Bayern: Creating a Global Superclub', refers to Schwarzenbeck (who's nickname Katsche was also an expression for a bruise) as "the shield-bearer to Franz Beckenbauer's knight in shining armour." While Bayern Munich don't have a Vorstopper waiting in the wings for Pavard's arrival, first team defender Niklas Süle certainly has the attributes to follow in the footsteps of Schwarzenbeck. The former TSG Hoffenheim star's combination of pace and power is unlike anything else in European football, while his mental aptitude at the age of just 23 places him as arguably Bayern Munich's most disciplined defender. Süle still needs some fine tuning - which is apt given Katsche's nickname implied he was largely unrefined - but the Germany international is crying out for a partner at the back to form a generation-defining partnership at Bayern Munich, much like Arjen Robben and Franck Ribéry have in attack over the last decade. It's a long stretch to suggest that Pavard will in any way follow in the footsteps of Beckenbauer when he eventually arrives in Bavaria, let alone form any kind of meaningful partnership with Süle. But even if the Frenchman doesn't leave as much of a legacy on the club, Pavard will be central to Bayern Munich's current rejuvenation process and his impact at the Allianz Arena will be felt for years to come.